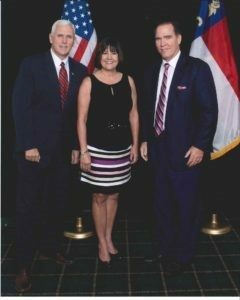 RALEIGH, N.C.- On the eve of the 2016 General Election, Kieran Shanahan and John E. Branch, III, both of Shanahan Law Group, successfully argued against the North Carolina Democratic Party’s (“NCDP”) lawsuit against Donald J. Trump for President, Inc. (“the Campaign”). The Honorable Judge Catherine C. Eagles, of the United States District Court for the North Carolina Middle District, denied the NCDP’s motion for a temporary restraining order and preliminary injunction. 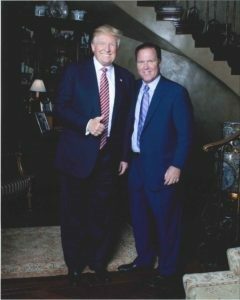 The NCDP’s lawsuit sought a temporary restraining order and preliminary injunction against the Campaign, the North Carolina Republican Party (“NCRP”), Trump supporter, Roger J. Stone and Stop the Steal, Inc. (together, “the Defendants”), citing efforts to “threaten, intimidate, and thereby prevent minority voters in North Carolina from voting in the 2016 election.” The NCDP claimed immediate relief was necessary to combat the “voter suppression” tactics of the Defendants. “The Democratic Party’s last minute effort to secure a temporary restraining order was not only a waste of the NCRP’s time and resources, but also a blatant attempt to confuse voters with inflammatory rhetoric mere hours before the election,” said the Defendants. The Defendants also argued that in addition to unconstitutionally restricting protected speech, issuing a temporary restraining order would seriously disrupt the already logistically complicated task of conducting an election. Furthermore any possible court orders could result in further voter confusion and consequent low voter turnout.